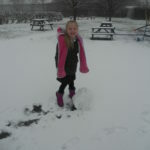 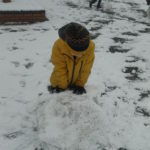 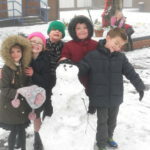 ‘Snow’ Much Fun In Year Two! 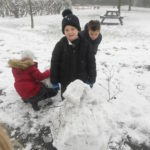 Year Two have had a fabulous morning playing in the snow! 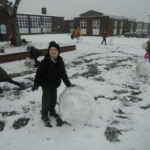 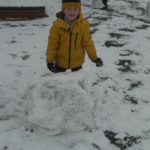 We rolled the snow into giant snowballs to make some fabulous snowmen! 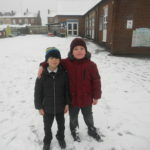 Afterwards we went for a snowy walk to get some inspiration for our sense poems for the poetry competition. 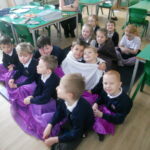 When we came back to class, we wrapped ourselves in blankets to get cosy and warm. 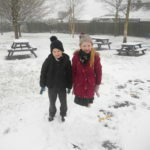 We watched some videos of snow falling and thought of powerful verbs to improve our description. 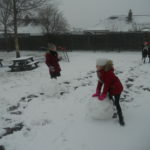 We have loved our snowy morning and are looking forward to writing some wonderful poems this afternoon!